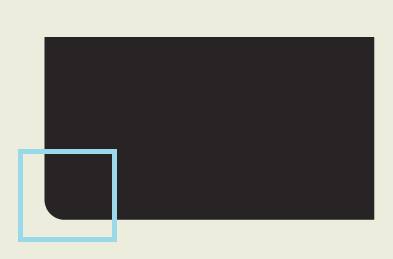 So there have been times when I need to round only one or two corners of a rectangle in Adobe Illustrator CS6. There is a little script that Hiroyuki Sato wrote that works amazing for this! 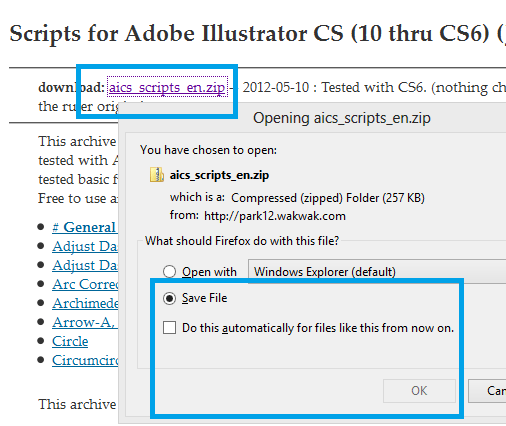 Follow the instructions below to see how to install the script and use it within Adobe Illustrator CS6. We need to go grab the script from Sato’s website. At the top of the page click on the download link for aics_scripts_en.zip and save it to your computer. Unzip the aics_scripts_en.zip file and save it somewhere on your computer. On my computer I have a scripts folder on the root of my C: drive, so that is where I keep them. To unzip it I recommend 7-zip. 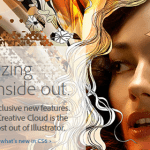 Launch Adobe Illustrator CS6 and I will show you how to use the script on a rectangle. Go ahead and draw a simple rectangle. Then use the Direct Selection Tool by pressing A, and click on one of the corners of the rectangle. Then go to File > Scripts > Other Script or press CTRL+F12. Browse to wherever you unzipped the scripts and select the “Round Any Corner.js” script. As you can see in my picture below, it rounded one of the corners. You can do as many corners as you want by simply selecting multiple corners before you run the script. Or you could select them individually and have different radius settings. I find myself using this script all the time for various design projects. Always comes in handy, enjoy! Such a shame that Illustrator don’t have this feature built-in.